This deluxe brain is medially divided. 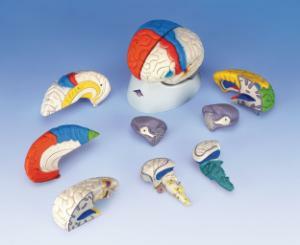 On the right half of this brain, you will find a colored, systematic grouping and representation of the cerebral lobe. The left half of the brain shows: Pre- and post-central region, Broca and Wernicke areas, Heschl's gyrus and Brain nerves. 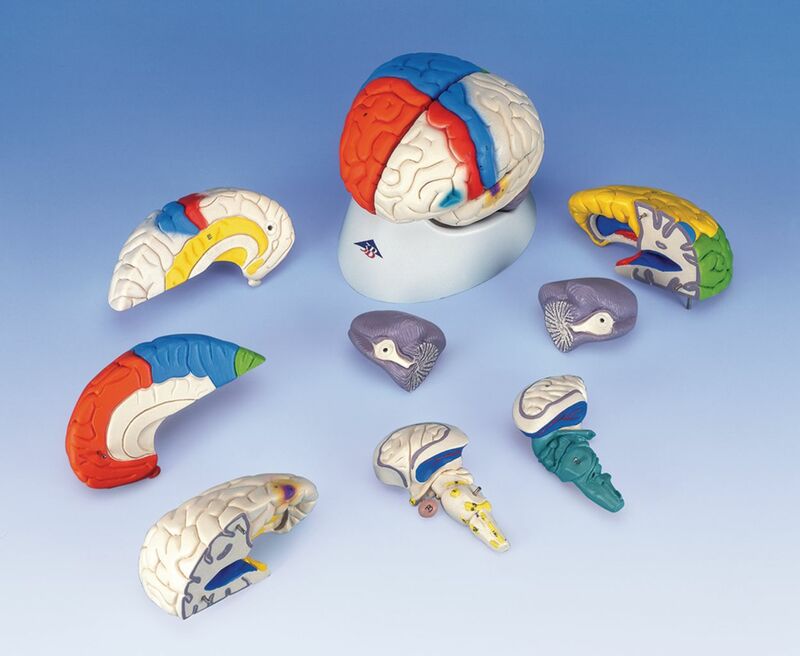 The deluxe brain is a great tool for education on the human nervous system and anatomy of the brain. The brain is delivered on a removable base.